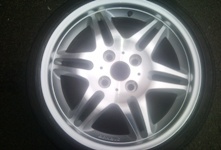 Midlands Mars specialise in alloy wheel repair and alloy wheel refurbishment. We offer a comprehensive range of alloy wheel repairs for all types and size of wheels, from a painted finish to a full strip and powdercoat. 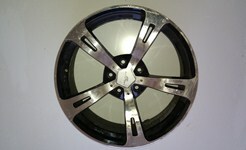 Here at Midlands Mars we can repair the many different finishes that are in todays alloy wheel market. "Diamond cut", "chrome effect", "graphite", "black" (gloss or matt), and the many speciality colours around today. 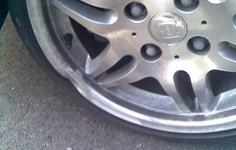 We can also repair wheels that have been cracked or buckled due to pothole damage. Nothing detracts from a cars appearance more than a unsightly set of wheels so don't let your kerbed, corroded, scuffed or buckled alloy wheels ruin the overall appearance of your car. Most kerbed alloys can be repaired on the car in a day and we provide a fully mobile same day service for this. The alloy wheel refurbishment service from Midland Mars, can make your wheels look as new again and increase the overall value of your vehicle. Replacing alloy wheels can cost hundreds of £££’s, but with the restoration services from Midlands Mars we can make them look brand new and save you £££’s. This represents exceptional value for money. We often get asked "how do I know if my wheels are diamond cut" Well the easiest way to describe a diamond cut wheel is to compare the face of the wheel with a CD, both of them have very fine grain lines running around their circumference where they have been machined. You will also notice a difference between the face of the wheel which is very shiny compared to the sides of the spokes as the spokes normally have a painted finish. 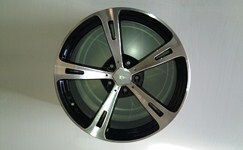 More and more vehicles are being fitted with diamond cut alloys. Mercedes, BMW, Lexus, Ford and Honda have been fitting diamond cut wheels to there range for quite some time now, but VW, Audi, Nissan and Porsche are all starting to fit diamond cut alloys to there vehicles. The repair time for a diamond cut alloy is 4-5 working days. The repair time for a strip and powdercoated is 3-4 working days. The repair time for buckled / cracked wheels is 2 working days. 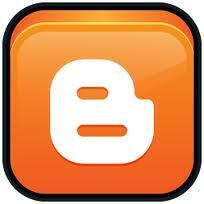 Our aim is to provide you with a quick turnaround and a quality finish. Areas Covered - Walsall, Wolverhampton, Birmingham, West Bromwich, Dudley, Cannock, Stafford, Telford, Tamworth And The Surrounding Areas in The West Midlands And Staffordshire. CALL US TODAY and let us return your alloy wheels back to new! Before And After Photo of Repaired Buckled Alloy Wheel. Before And After Photo of Repaired Diamond Cut Alloy Wheel.